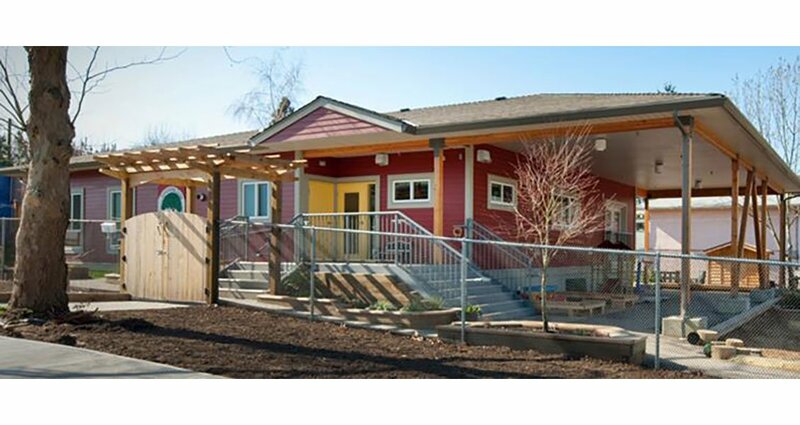 This replacement group childcare facility has a total gross area of approximately 215.2 m2 (2316 sq. 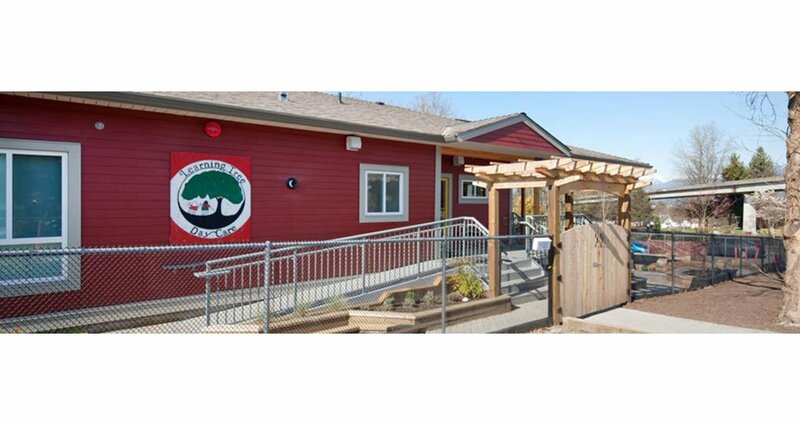 ft.) and consists of wood frame modular units installed on a concrete foundation, with a site-constructed wood truss roof system, finished with asphalt shingle roofing and fibre-reinforced cementitious cladding. 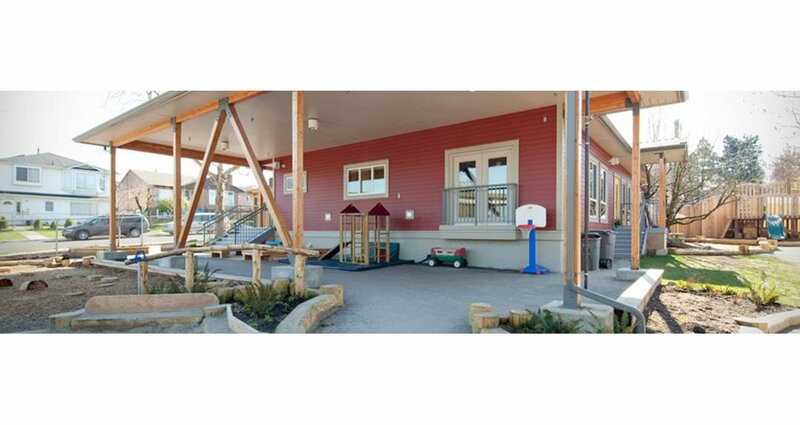 The project included site preparation and development including retention of existing trees, and provision of a covered play area and open play areas including play structures and other site amenities. 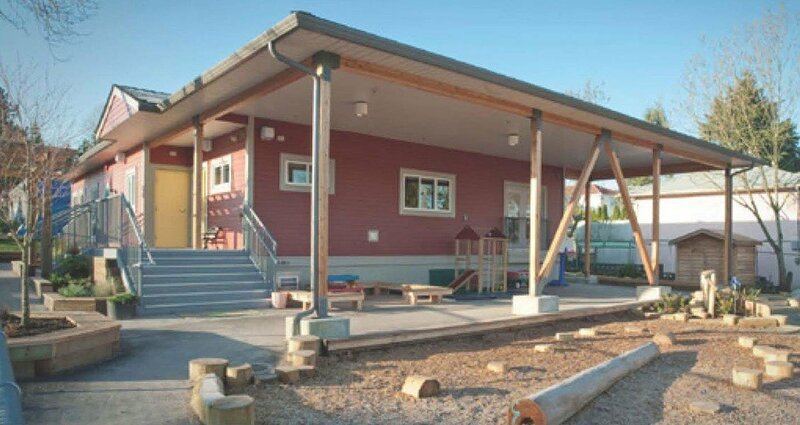 One of two existing daycare buildings on the site was demolished. The work was carried out to allow the Owner full use of the remaining existing facilities while the new facility is being constructed.